Devens, MA – August 19, 2011 – Comrex Corporation has recently been added to the Verizon Wireless LTE Innovation Center Program. The Innovation Center, located in Waltham, Massachusetts, provides manufacturers of Machine-to-Machine (M2M) solutions with integration support for devices that utilize the Verizon 4G LTE Wireless Network. Comrex, the leading provider of high-quality audio and video codecs for professional broadcast applications says that the partnership has already produced results with new drivers for several Verizon LTE devices incorporated in the latest ACCESS IP Audio Codec firmware. "The ultimate goal of the ACCESS product is to make wireless connections simple," said Comrex Technical Director, Tom Hartnett. "This partnership allows us direct contact with not only the provider of the best-deployed 4G network in the US, but also a relationship with modem device manufacturers for easier integration. 4G has substantial benefits for our IP audio codecs and will really shine when used with our forthcoming LiveShot IP Video Codec." 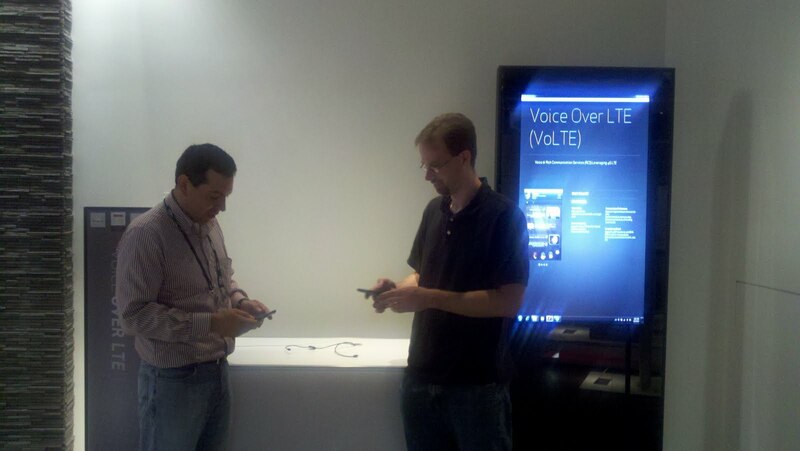 Comrex has recently launched a campaign called "4G Simplicity" which provides a plug-and-play experience on Verizon LTE. Customers purchasing ACCESS IP codecs receive hardware pre-programmed with the BRIC Traversal Server and configured to make "one touch" connections over Verizon 4G LTE and other 4G services. Jesus Cabrera of Verizon Wireless gives Steve Richardson of Comrex a tour of the Verizon Experience Center (but not before they texted and posted to Facebook about it first).